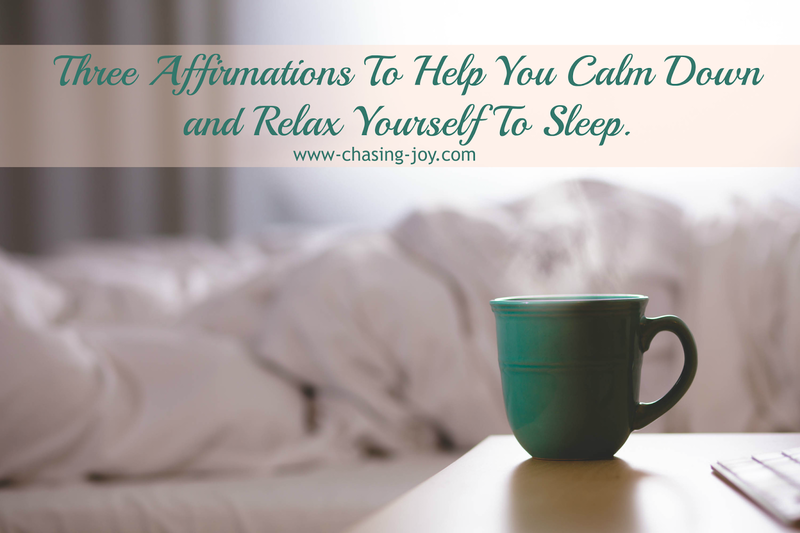 Three Affirmations To Help You Calm Down and Relax Yourself To Sleep. Do you ever have trouble sleeping? I do. Often on nights before work days I have trouble falling asleep. The problem is my brain is already thinking about the next day. It is already working and spinning through tomorrows tasks. What I need to do is calm down and relax. If you are like me you do too. Below are three affirmations to help you calm down and relax yourself to sleep. 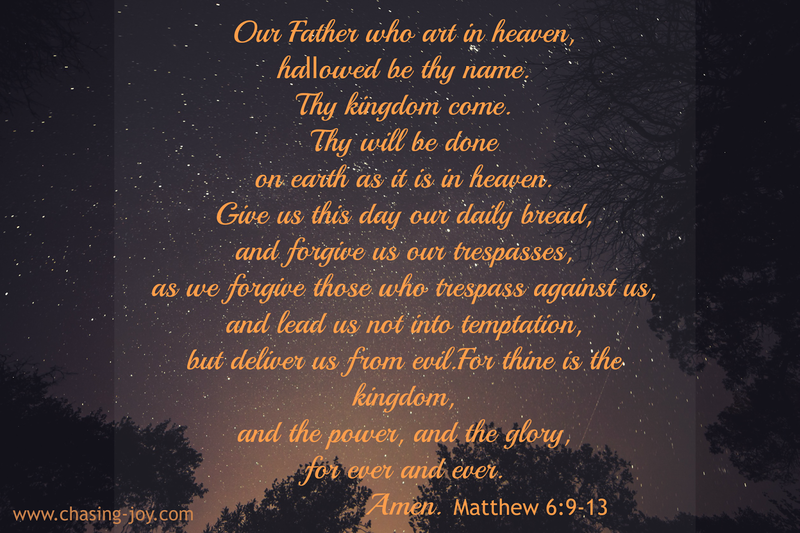 Matthew 6:9-13 The Lord’s Prayer – I am a Christian and I pray a lot. More often than not when I start to say the Lord’s Prayer I end up asleep before I get to for thine is the kingdom. Too Blessed to Be stressed – I did not come up with this. I don’t remember where I got it but I say it to myself over and over again when I am feeling particularly stressed out. It does help. It serves as a reminder of all that is going well in my life. Sometimes this affirmation will lead me to start counting my blessings until I fall asleep. Body Relaxation Affirmation Technique – My mom uses this one. She imagines she’s getting into a huge warm bath. She starts with her toes and works her way through her body parts up to her neck and shoulders. She says my toes are relaxed and warm in the water. Now the water is up to my ankles. They are nice and warm in the water. Now the water is up to my knees. They are nice and warm in the water. She is usually falling asleep by the time she gets to her neck and shoulders. Do you ever use affirmations to help yourself fall asleep? Share your favorite affirmation in the comments below. I love these affirmations! I'm big on positive affirmations and believe greatly in them. I have an app on my phone that I sometimes use to fall asleep and it repeats different positive affirmations that I've set up. people who know and believe the power of words, especially words of faith. Usually, I don't have problems getting to sleep. I tend to wake up in the middle of the night. I'll try these then. These are great tips on following asleep! I usually don't have any issues, but if I do, I usually play on my phone or get on my computer and eventually doze off. Fortunately I can fall asleep anywhere and at any time. I don't use affirmations though. Usually if I can't sleep it is because I am thinking about a lot or I am paranoid about the time I may need to wake up for something. Never use affirmations, I just try to clear my head. I love this!! I definitely need to have some more relaxation in my life due to so much stress lately so I definitely will be putting your tips to action!! I love the Too Blessed to be Stressed. I'll have to remember that one. It's true, I am blessed and blessed to be stressed over being stressed! I also say little prayers in my head throughout the day – my own little conversation with God! Prayer helps me fall asleep as well. Whenever I find I have a hard time sleeping issues because I have a lot on my mind. Handing it over to God in prayer helps me relax. The Lord's Prayer covers everything. It's important to remember each of those elements and I'm immediately reassured that everything's going to be okay. This is Fabulous. I say daily affirmations, but never thought to use them for getting some rest and relaxing. I usually say in the am to get my day started and to attract positive energy. I like the 'Too Blessed to be Stressed' reminder. That is something we can all say. I pray as well, and The Lord's Prayer is one of my favorites. Thak you for the great suggestions. I have always had troubles falling asleep. I have tried so many things. I now have some meditation type apps on my phone for the days when it is out of control. I have found that journaling before bed helps because I can empty my mind. I love this passages! I pray nightly and do believe we are blessed to be stressed. Proud that I can do what I love. I haven't tried these ideas before. I typically try to relax and deep breath to relax all my muscles and joints. I think like your mom but imagine being on a warm beach covered by the warm sand; like a blanket. So relaxing. I like these de-stress ideas. Perfect way to relax and fall asleep. Those annoying sleepless nights are tough. I do really well for a while then… bam… they come back without any reason. My Grandma always used to say warm milk helped… but I can't seem to drink that stuff. I definitely know that prayer helps me. There have been so many times that I have drifted off right in the middle of a prayer. I am so thankful for our great God. Why is it that we always start thinking of the most stressful situations in our life right before bed?! I love the idea of focusing on our blessings and all that we are grateful for instead. Stress is a real joy-drainer. I appreciate these positive ways to remind ourselves to calm down & let all the stress float away. I love The Lord's Prayer. It has always been very calming to me when I am stressed out. I love this. I don't use any but need to start. Passing this on to a friend who was looking for some the other day. This is a great post. Our internal dialogues can make or break us. Sometimes, we have to snap ourselves out of negative dialogues by substituting positive ones. I learned Body Relaxation Affirmation Technique 30 years in Lamaze' class and I use it to this day. I also pray and ask god to take away my anxiety, it always works.